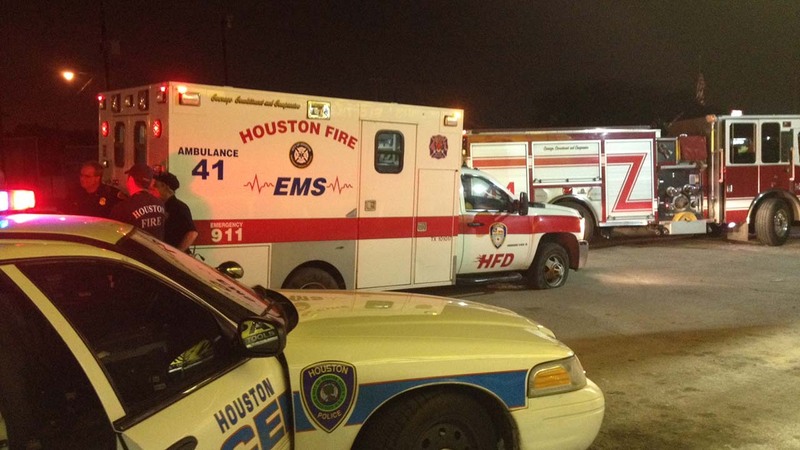 HOUSTON (KTRK) -- Police say a man stole an ambulance and led police on a chase through east Houston last night. Houston Fire Department paramedics were inside the East Houston Regional Medical Center on the East Freeway around 11pm when a man hopped in the driver's seat of their ambulance and took off with it. The keys were in the ambulance and it was running when the suspect jumped inside. Police tracked the vehicle using GPS and gave chase when the man refused to pull over. The pursuit lasted 20 minutes before officers threw spike strips down and stopped the vehicle on Federal Road near the East Freeway. The man was arrested when he got out of the vehicle. Police say the man will be charged with unauthorized use of a motor vehicle.